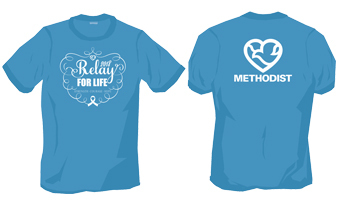 Methodist is sponsoring and participating in the 2018 Relay for Life on July 14 at Stinson Park at Aksarben Village, 2285 S. 67th Street. Relay for Life is a celebration of life dedicated to cancer patients, their families and friends. Relay raises money for the American Cancer Society and aims to raise awareness of cancer and the quest to find a cure. Relay for Life is a fun, family activity with a survivors lap, food, entertainment, and a luminary lighting. You’re welcome to join us for any or all of the evening’s activities. To join the Methodist team, fill out the Registration Form and interoffice it to Buffy Forrester, Methodist Estabrook Cancer Center. Registration is open to all Methodist Health System affiliates. Employees and Medical Staff may also register family and friends. Registration deadline is June 21. For more information, contact Buffy Forrester at (402) 354-5890 or email Buffy.Forrester@nmhs.org.